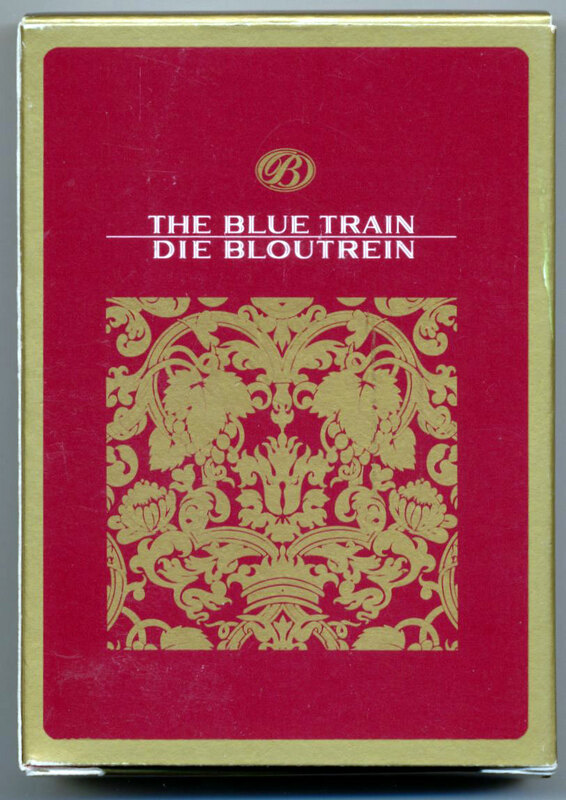 Above: “The Blue Train” (Bloutrein) playing cards from the luxury train service made by Protea Playing Card Company, a later repring, with updated artwork, of a deck first published in c.1978 (shown below). There are three jokers, one red and two blue. Each suit has the same images. Images courtesy Matt Probert. 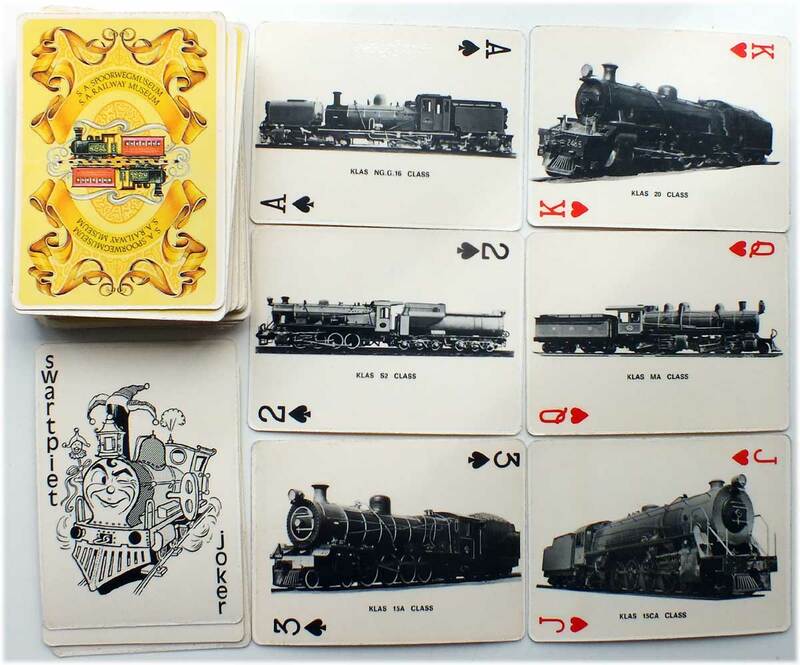 Above: earlier edition of “The Blue Train” playing cards published by the South African Railway Museum. 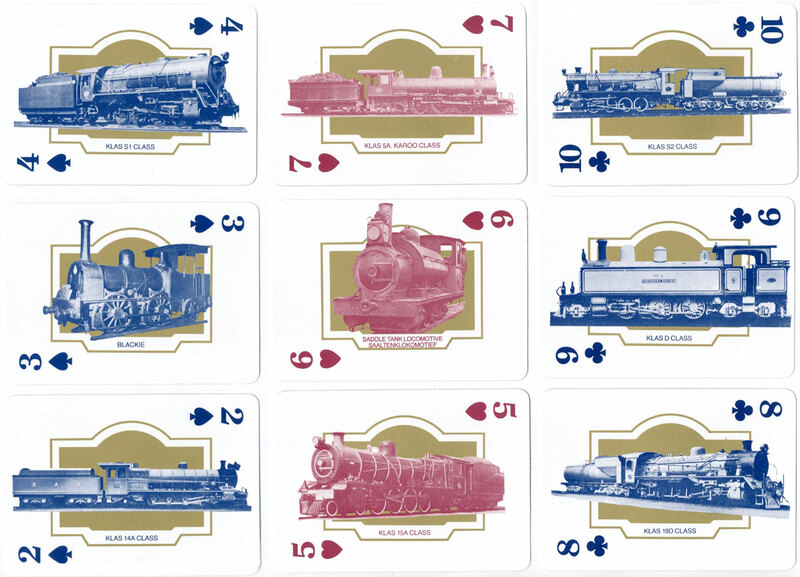 Depicts 52 different steam locomotives, one on each card. The back is described as "an allegorical motif of the museum". Unique cartoon joker. Made by the Protea Playing Card Co, Johannesburg, South Africa, c.1978. Around the same time similar sets were published by SA Spoorwegmuseum / SA Railway Museum, South Station Building, De Villiers Street, Johannesburg, showing the same fronts but with different backs, on plastic film laminated card. 52 cards + joker + 2 extra cards in plain box. 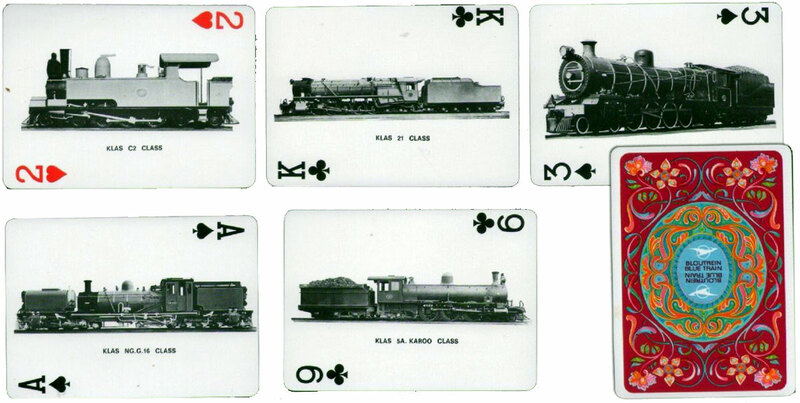 Above: pack published by SA Spoorwegmuseum / SA Railway Museum, Johannesburg, c.1970s. Courtesy Lotte Wintle & Francis Bevers.